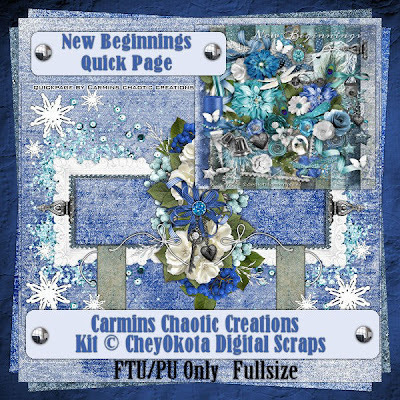 Today I bring you three Cluster Frames and a Quick page using another beautiful kit from Laurrie of CheyOkota Digital Scraps called New Beginnings which you can find HERE. 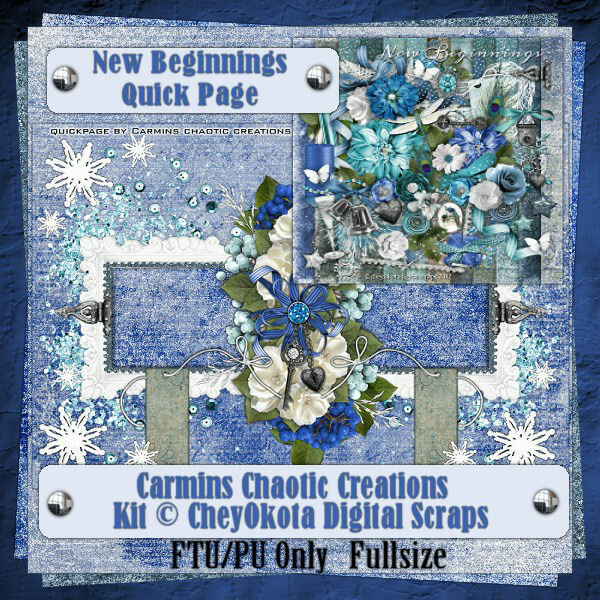 This kit is amazing and I hope that you all like the Freebies I made for you using this kit. All of these freebies are for personal use only and are Fullsize so that you can fit your pictures in them. 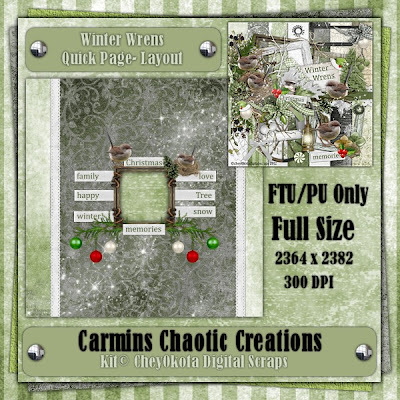 I would love to see anything that you make using these goodies. Well I just couldnt get enough of this kit. I have the tutorial that I posted on Decemeber 3rd that uses this same kit, I have 3 cluster frames to match this kit, and now I made my first Quick Page/Layout and it just shows how much can be done with Laurries beautiful kits. 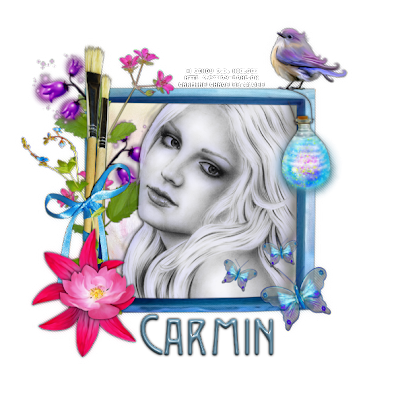 With over 100 elements anything is possible!!! All of these items were done using Winter Wrens a kit by Laurrie which you can purchase from: here. 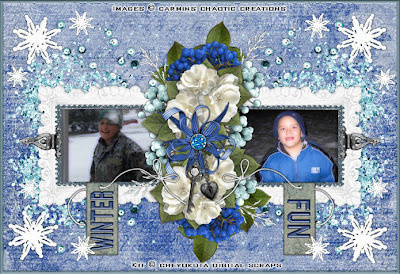 Here is a sample of my quickpage that I made with my childs photo when he was younger. 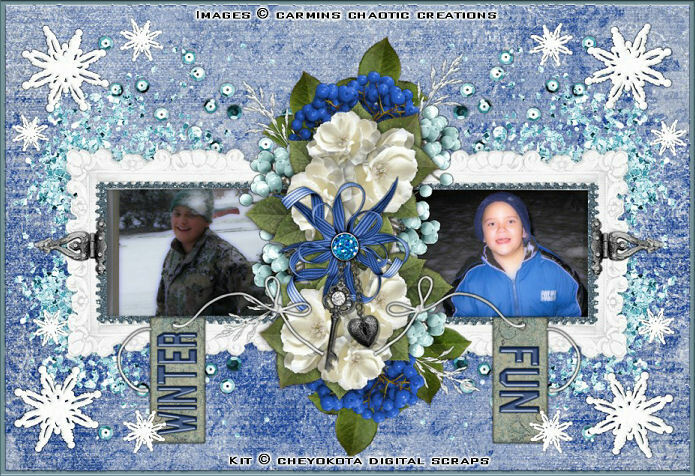 Now below is a picture of the QuickPage/layout without the picture, as you see its hollow so you can add your picture of choice if you so desire. 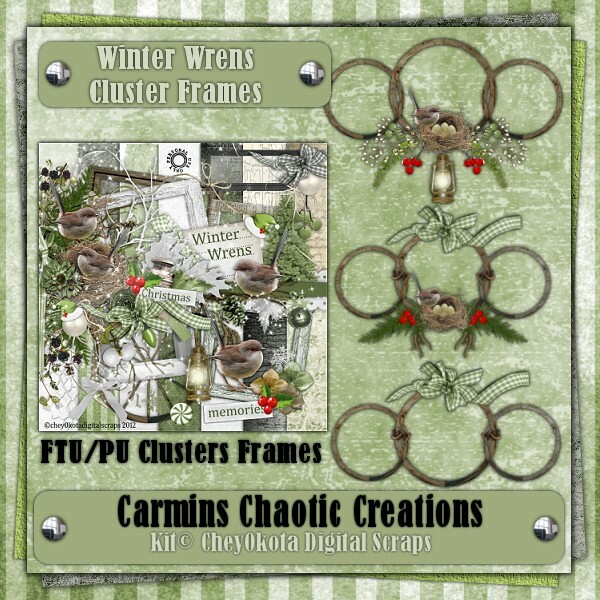 Now Below I have 3 Cluster Frames that you can also use for your own photos and you can find the link below. This tutorial is for those that have a working knowledge of PSP. 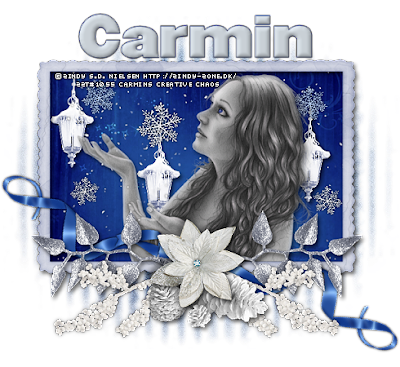 This tutorial was written by me on December 3,2012 and any resemblance is purely coincidental. I use PSP 9, but any version should work. I do not allow my tutorials to be translated and please do not claim them as your own. If you would like to share the tutorial please send a link to my blog. Thank you! 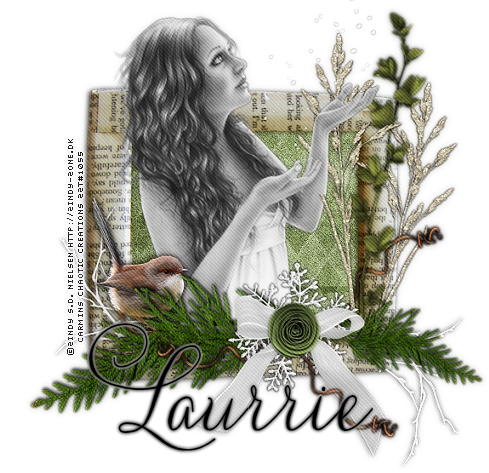 Kit of choice: I am using a kit by Laurrie which you can purchase from here. 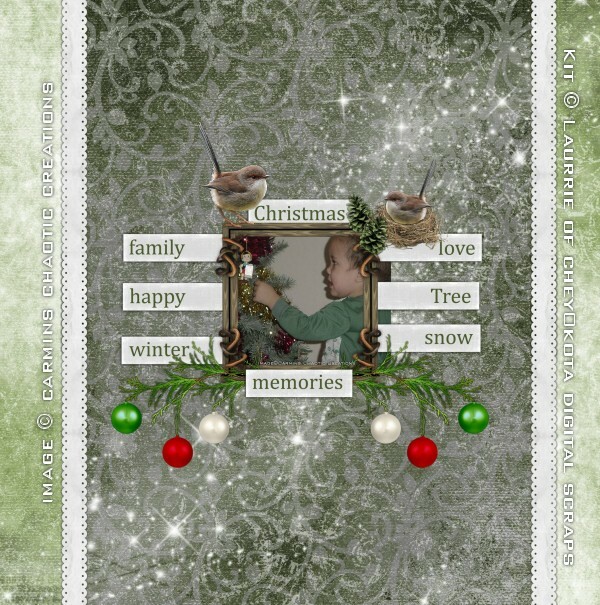 Thank you for trying my tutorial I hope you like the results… I would love to see your results.